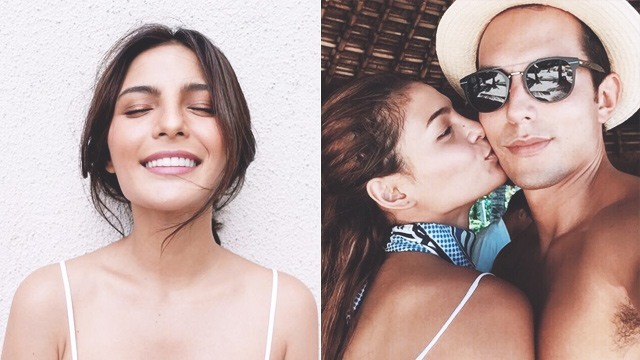 Lovi Poe opens up on why her relationship with Chris Johnson has been good for her. Lovi Poe says that being in a relationship with French boyfriend Chris Johnson has been good for her. 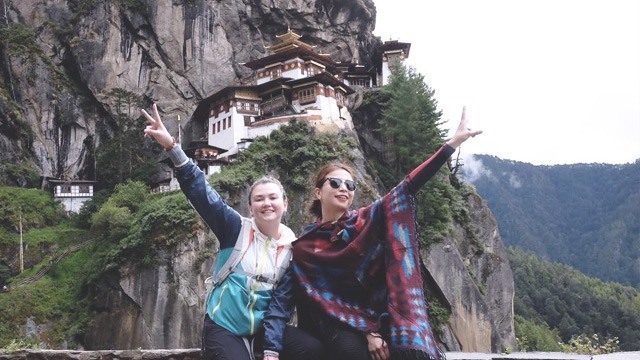 The two have just spent some quality time together, touring Europe for three weeks after attending the Parisian wedding of Vicki Belo and Hayden Kho Jr. On her boyfriend, the 28-year-old Someone to Watch Over Me actress said, “Yeah, super fun. Because he brings out the fun side of me. “Before, I used to be, like, super fun, and talagang I really enjoyed my day on a day-to-day basis. “Kaso, medyo nung nag-mature na ako, naging uptight na ako and everything. “Parang I’m always worried about tomorrow. "So, it’s just the perfect balance, kasi he brings out the old me," Lovi shared in an exclusive interview with PEP.ph. “Tinulak niya ako sa pool! ‘Cause I said, ‘Sweetie, can you take a photo of me here?’ Sa view ng Cassis. “I can’t believe I didn’t see it coming, kasi sabi niya, ‘Put your phone here. Kasi you’re always holding your phone sa pictures.’ Gumanun siya. “Sabi ko, ‘Okay.’ He said, ‘Move there, I’m gonna do a boomerang.’ So, nag-flip ako ng hair. “Pagkaganun ko, tinulak niya ako. Slow motion talaga. "I can’t believe na ginawa niya yun!" What Lovi says she appreciates even more about Chris is that he’s also very supportive of her work. “He’s also the serious type, which is actually the perfect balance. “Kasi nga, he’s serious, and he knows how to have fun when we have to have fun. “Kasi ngayon, I’m all about work. I’m all about taking care of myself. 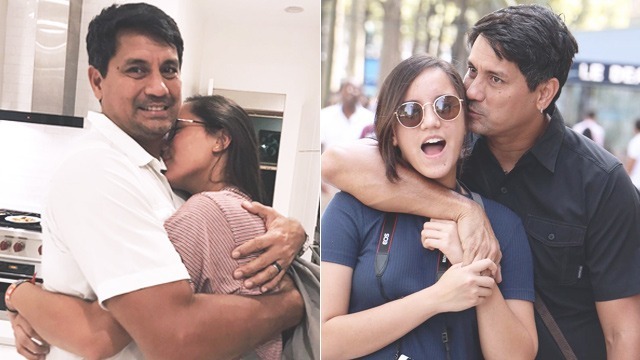 The two were supposed to go on another out-of-the-country trip when Lovi was offered to headline a Kapuso primetime soap slated to air this year! She then shared that Chris not only respects her "me-time" but he also knows when "work comes first." Lovi elaborated, "We have different careers, so we just support each other. “He’s very supportive in everything I do. He actually helps me. The actress however, shared that they have no plans to tie the knot anytime soon. “We don’t wanna pressure each other because I’m still not on that stage of my life. "We’re on the same page that we just wanna travel the world."